Their excellence stems from both a passion for teaching and an ability to relate to others. In 2001, the CIA participated in the 'Year of European Languages', by adopting the educational standards agreed by the Council of Europe and the European Commission, as well as the European Portfolio - a scheme to promote the study of European languages. Thus, all students over 16 years will gain their European language passport. The CIA Pedagogical Managers and teachers often participate in, and contribute to, pedagogical seminars abroad. They are invited by French cultural organisations, local teaching organisations, or teachers of French associations. The Centre International d'Antibes maintains close relations with the linguistic and cultural network through the French External Affairs Ministry. Comenius 2.2 and Grundtvig 3 training courses for teachers of French as a Foreign Language from the European Framework of Reference’s Socrates program. "From this year on, the State is committed to quality control in schools teaching French as a Foreign Language in France. Over 100 000 people come to France every year to study French. Over 300 schools either public, private or non-profitable, offer their services. This is why the Ministries of Higher Education and Research, of Foreign and European affairs and of Culture and Communication have decided to put a quality control system into place for schools teaching French as a foreign language on French soil. 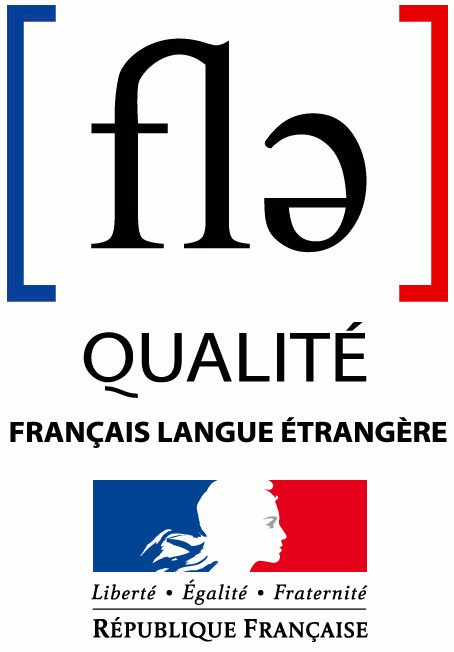 Consequently, a ‘label’ entitled « Qualité Français Langue Etrangère » was created. Thanks to this system, the authorities can identify, recognise and promote language training providers who offer language courses and services that meet the required standards in quality. The International Centre for Teaching Studies (CIEP), a state-owned administrative body of the Ministry of National Education, is responsible for implementing this quality control system. For more detailed information, visit the link: www.ciep.fr/qualitefle ". Souffle has a very strict quality charter to which all French as a Foreign Language schools (FLE) must adhere. Centre International d'Antibes is a member of Souffle.